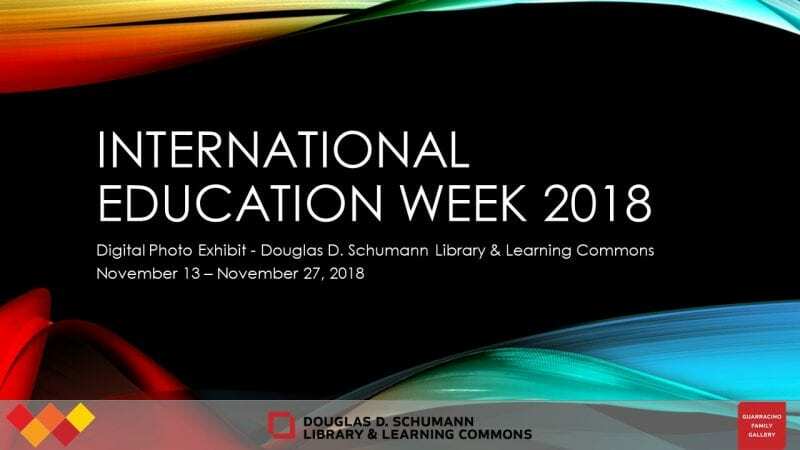 International Education Week — a joint initiative of the U.S. Department of State and the U.S. Department of Education– is celebrated November 12-16, 2018. It is an opportunity to reflect on the benefits of international education and exchange worldwide. Among the events scheduled around the Wentworth Institute campus are two displays featured in the Schumann Library. The Provost Office is sponsoring a Photo Contest with the top ten photo submissions from students who participated in the study abroad program this past year. Come take a look and cast your vote by November 16 for your favorite picture! In the Guarracino Gallery, International Student Services gathered colorful objects from countries around the world: Benin, Saudi Arabia, Morocco, Africa, China, Malaysia, Japan, Vietnam, Korea, Holland, Russia, Poland and Portugal. There is an accompanying digital display of 150 photographs from international destinations submitted by 9 students and 8 staff from Wentworth’s global community. The International Student Services exhibit will be on view through November 27, 2018. For more information contact libraryexhibits@wit.edu.